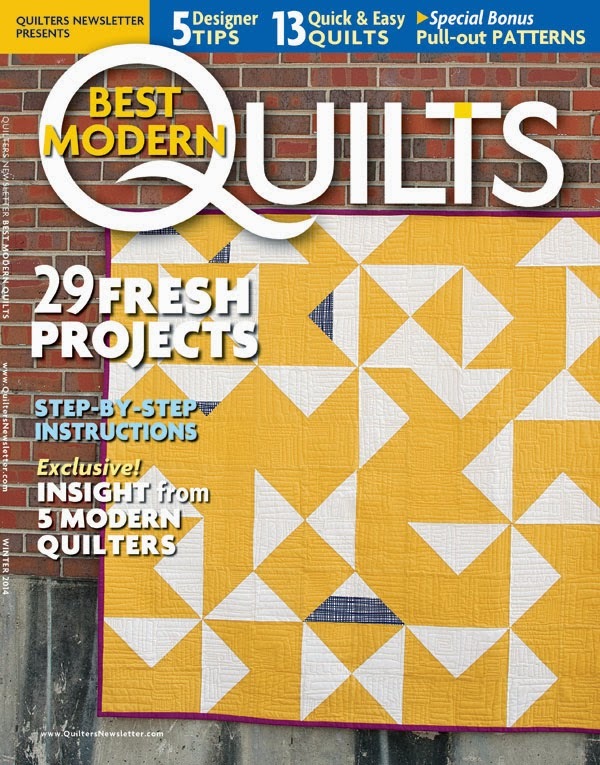 Have you picked up the Winter 2014 issue of Quilter’s Newsletter Presents Best Modern Quilts? We are head-over-heels for Kimberly Einmo‘s Fire and Ice quilt, featured in this issue. It’s made of assorted Java Blenders against a background of Soho-White. The quilting, by Judi Madsen of Green Fairy Quilts, takes our breath away! It comes as no surprise that Fire and Ice won the Viewer’s Choice Award in the AQS Modern Quilt Challenge last October. Kimberly shared a behind-the-scenes photo with us, of all the accent colors lined up and ready for cutting. We never tire of seeing our fabric transformed from neat little piles into stunning works of art. Kimberly also used lots of Timeless Treasures Fabrics in her new book, Modern Quilts & More, scheduled for release next month through AQS. This is Einmo’s fifth book, and we can’t wait to see the fun projects she has in store! Reminder: If you haven’t done so already, leave a comment on last week’s Dreaming of Stars Finale post! We’re giving away a 30-piece FQ bundle of Dream, and one lucky recipient will be selected at random TOMORROW, January 24th. Don’t miss your chance to win! Dreaming of Stars Finale – BIG Giveaway! Winner of Dream Bundle Giveaway!